play an important role in scoring. 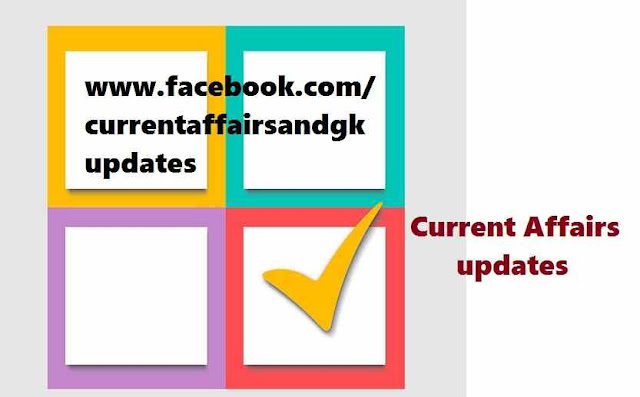 Updates on Current Events and recent happenings are provided till 25th September 2015.Updates on 22nd Sepember,23rd September,24th September and 25th September 2015 are covered. 1.Srisai Lalitha Prasida,A 13 year old student from Odisha has won the community Impact Award at the Google Science Fair in the 13-15 years age category.She won this award for developing a water purifier that works using waste corn cobs. 2.IISL (India Index Services & Products Limited),an NSE group company has decided to rebrand CNX Nifty index as Nifty 50 from November 9. 3.Telecom operator Uninor changed the brand name to Telenor. It has changed it's tagline to "Ab life full paisa vasool" from "Sabse Sasta". 4.Mukesh Ambani remains India's richest person for the ninth consecutive year (Net worth US $18.9 Billion).This is according to Forbes India Rich list. 6.Mars Orbiter spacecraft marks one year of it's life around red planet Mars on 24 September 2015.A large data set has been acquired by all five payloads of Mars Orbiter Mission. 7.PuttamRajuvari Kandrika Village in Andhrapradesh which was adopted by Sachin Tendulkar has been awarded with best village under "Samsad Adarsh Gram Yojana". 8.Stampede during one of the last rituals at Hajj killed more than 700 people.The stampede occurred during "stoning the devil" ritual in Mina City. These updates on Current Affairs-General Awareness helps you in upcoming recruitment examinations like SSC (Staff Selection Commission), RRB (Railway Recruitment Board),SBI recruitment,RBI Recruitment tests, IBPS recruitment,Postal,Insurance and Other state level recruitment and competitive examinations.